Gillick was also very active in the waiver wire and Rule 5 draft, picking up future MVP George Bell and All-Star Kelly Gruber. 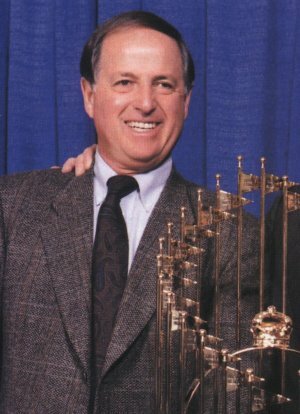 As we all know, Pat Gillick was the GM responsible for the back-to-back World Series winning teams of 1992-1993. 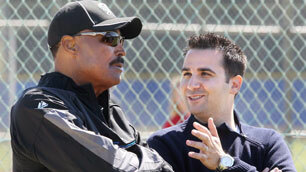 Like former GM Pat Gillick, new GM Alex Anthopoulos is also a former scout. Since taking over the team of the final weekend of last season, Anthopoulos has beefed up the scouting department by adding 39 scouts in total. 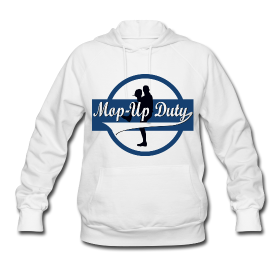 As well, he has decreased the geographic area that scouts work in and has lessened their work load. Like Gillick in the Dominican, Anthopoulos has also entered the non-traditional market of Cuba, signing Cuban shortstop Adeiny Hechevarria. Most recently he has taken a chance on 16 year old Venezeulan prospect Adonis Cardona. Like Gillick, Anthopoulos has been conservative in the development of the team’s high-ceiling prospects. While Brett Wallace has been knocking on the door, Anthopoulos remains committed to have him spend the year in AAA learning the defensive nuances of first base. Highly touted prospect Kyle Drabek has been placed at AA and is fine tuning his control. “We have a development plan in place for all of these guys,” said Anthopoulos. “Really, that’s the goal with all these young players. It’s easy for us to be shortsighted, just to want to get these guys up here to show the fans how exciting they are, but really, we have a plan in place. Again, like Gillick, Anthopoulos is passionate about having a strong off-the-field staff in place. Again, like Gillick, Anthopoulos has been active with the waiver wire by scooping Mike McCoy and to an extent Fred Lewis. 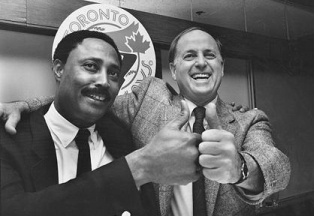 So it seems like Alex Anthopoulos’ “Plan” is identical to that of Pat Gillick’s “Plan.” What remains to be seen is whether Anthopoulos will be like Gillick and exhibit the patience to adhere to “The Plan.” Gillick was nicknamed “Stand Pat” for his reluctance to make deadline deals in favour of staying the course he set out for the team. If Alex can do so then the Jays will have a bright future ahead of them. If past success is any sort of indicator of future performance, then the Blue Jays are in good hands. It’s no wonder Paul Beeston hired him. To be perfectly honest, unless I was really, really close, I wouldn’t touch the FA market these days outside of the low cost style deals that AA already uses. Funny, you retweeted this article around the same time I’m having a twitter discussion comparing the two. The hysteria going around right now is so like the “Stand Pat” era. Glad Gillick stayed the course and looking forward to AA doing the same.